Dual Ball Bearing GT35R Turbocharger. T3 style inlet flange with large TO4S style compressor housing with 4.00 inlet and 2.50" outlet. 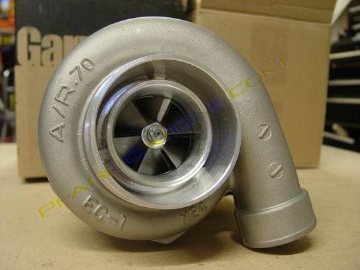 This turbo has a flow capacity of about 600+HP. *Note - Ported shroud compressor housing in picture is an available option.